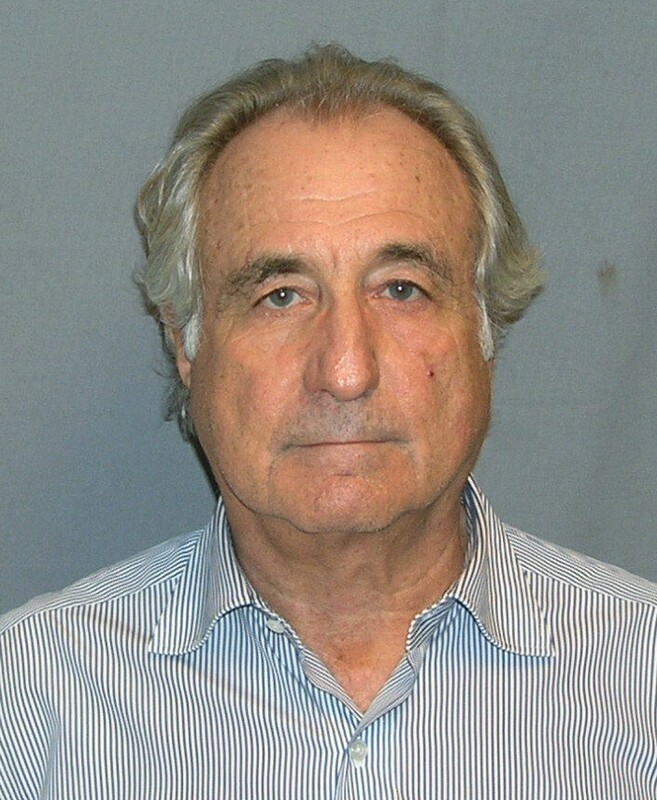 Bernard Lawrence Madoff (; born April 29, 1938) is an American former market maker, investment advisor, financier, fraudster, and convicted felon, who is currently serving a federal prison sentence for offenses related to a massive Ponzi scheme. He is the former non-executive chairman of the NASDAQ stock market, the confessed operator of the largest Ponzi scheme in world history, and the largest financial fraud in U.S. history. Prosecutors estimated the fraud to be worth $64.8 billion based on the amounts in the accounts of Madoff's 4,800 clients as of November 30, 2008.